The new Kingdom Bard of Atlantia, Lord Johann von Solothurn! Lords and Ladies of Atlantia – pay heed! The new Kingdom Bard of Atlantia, the highest representative of the most noble art of performing in all the kingdom, presents himself to you! 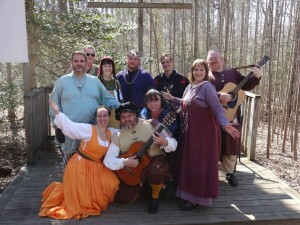 Lord Johann shown here in the front row with the guitar at the Bardic Bear Pit of Spring Coronation 2014! Lord Johann von Solothurn is a bard and musician. As a bard, he performs both period and SCA-themed music, and he writes original SCA- and period-themed songs (some of which are serious, others not so much). As an instrumentalist, he performs period guitar, lute and vihuela pieces. He plays mostly on classical guitar or sometimes on a reproduction five-course guitar. He is currently exploring composition for the four-course and five-course guitar. Johann also believes that the kazoo is seriously underrated as an instrument. Prior to being selected as Kingdom Bard for 2015, Johann served as Black Diamond’s Bardic Champion in the court of Their Excellencies Aldemere and Juliana from 2012 to 2015. 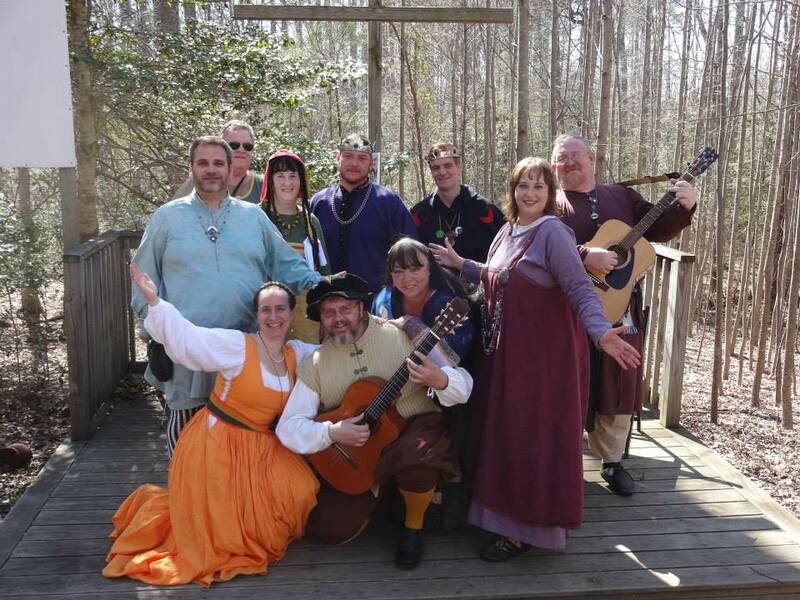 Johann has organized entertainment for events, sponsored and judged bardic competitions, and taught bardic-related classes, including Bardic 101/102, History of the Guitar, and Late Period Music for the Lute, Vihuela and Guitar. Johann resides in the Barony of Black Diamond, with his Lady, Helena Isabelle de Soleure and their son Jakob von Solothurn. Johann can be contacted at johann_von_solothurn@yahoo.com. So, in case you haven’t enjoyed the beautiful music or amusing antics of the magnificently talented Lord Johann von Solothurn, your first chance to see him as Kingdom Bard is at the Tournament of Ymir in the fine Barony of Windasters’ Hill this Saturday, February 28th (http://ymir.windmastershill.org). He is running a Viking Bardic Challenge at 2:00pm and also taking on the challenge of accepting a green apprentice belt from the legendary Master Efenwealt. Be there to help him escape or cheer him on!